Wychwood Water Systems has supplied and installed several water purification systems used in the chemical industry over many years. The purified water is generally used as an ingredient to make chemical formulations whereby typically a chemical concentrate is diluted with purified water. Being free from ionic and microbial constituents, the purified water doesn’t interfere with the chemicals it’s mixed with and acts purely as a solvent. In this way, purified water systems are used to fill up bulk storage tanks with purified water so that the water is available on demand. Chemical companies are uniquely placed to consider either twin-bed deionisation or reverse osmosis (RO) because of their expertise in handling chemicals, allowing them to consider twin bed deionisation systems which use caustic and hydrochloric acids as regenerants. Twin-bed deionisers work by removing ions from incoming water via ion exchange; in this way constituent water ions are captured by the selective resins and exchanged for H & OH ions, combining to form H2O. The process itself is a chemical one and very efficient, requiring a periodic, automatic chemical regeneration of the resins so that the surface of each resin, of which there are millions with an enormous surface area, is cleaned and re-populated with its exchange ions. The chemicals used for this, typically caustic and hydrochloric supplied in 32% concentration, are classed as hazardous and therefore only appropriate for companies with experience of handling them. The plant area must be adequately ventilated and arranged to minimise risk. The advantage when compared with reverse osmosis (RO) is twofold; it has a lower initial capital cost and lower water wastage. It is also capable of producing water of a lower conductivity (higher purity with no ions present) at a much higher production rate that RO plus it has a much smaller footprint due to not requiring the same amount of pre-treatment. The resin beds themselves, with regular maintenance, last from 4yrs upwards, a timeframe comparable with RO membranes. At this point the vessels are re-bedded with fresh resins. With regular maintenance twin bed systems can last for over 20 yrs. Other than chemicals used periodically to sanitise and clean membranes, RO systems do not generally have a thirst for chemicals in normal operation. There are exceptions; for example, this isn’t the case for anti-scalant RO systems where chemicals are continually injected into the incoming water to modify it prior to RO purification. RO systems work by reversing the osmotic flow to force out contaminants leaving a stream of recovered purified water termed permeate. This is a clean process and works on a percentage recovery basis with approximately 30% of the process water wasted to drain, although this can be higher with insufficient pre-treatment in front of the RO itself. The waste water should be factored into any decision-making process, similarly there will be water wasted by the pre-treatment systems, during softener regenerations and carbon backwashing. Unlike deionisation, RO purifies by molecular size and weight meaning it has a wide spectrum of removal and will reject bacteria, viruses and moulds as well as dissolved salts and metals. This is generally 98% effective and leaves a residual conductivity of around 5ppm. There is also a trade-off with production rates; RO membranes are used in combination to increase output and systems can become quite large in terms of footprint compared to twin-bed deionisers. It is imperative from the outset to establish whether the purified water has to comply with a particular standard, such as BP or EP. This will feed into the overall design, meaning technologies such as UV sanitisation and sub-micron filtration have to be added into the system design. 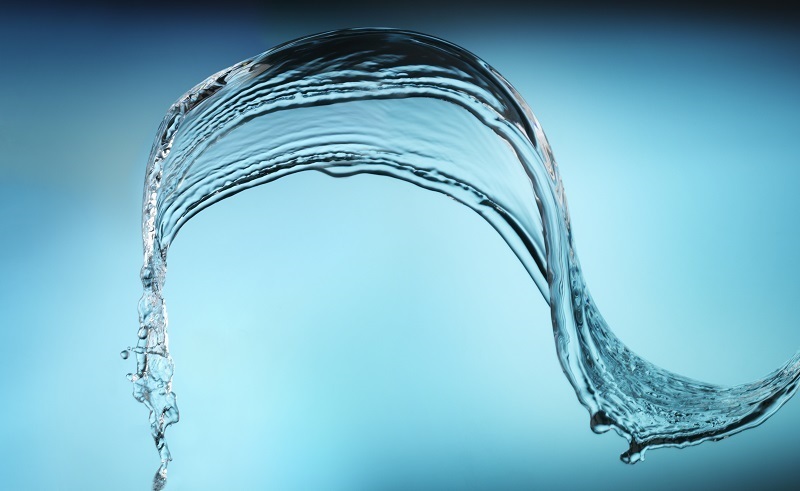 It could be that the water has to be recirculated at all times to maintain purity using the turbulence generated in flowing conditions to prevent the formation of biofilm. For all high purity systems, it is sensible to install good quality bio-sample points so that any sampling done produces consistent meaningful results. Fortunately, both RO & DI systems work extremely well in conjunction with other technologies to achieve a tailored level of purification. RO systems have become more popular in recent times, not least in part due to the rise of Health & Safety laws and environmental considerations therein. But the argument for twin bed deionisers is a sound one for companies that have expertise & an understanding of the implications of using chemicals in the modern workplace. Twin bed deionisers do not waste as much water during the purification process, produce water at a far quicker rate and need a smaller footprint without the need for pretreatment. Wychwood Water Systems has been trading from Witney Oxon for over 20 years as a specialist in manufacturing and servicing water purification plant including RO and Deionisation systems. Wychwood is well-placed to offer an unbiased opinion on either system and can help with virtually all requirements including the servicing of existing systems with most makes and models covered.